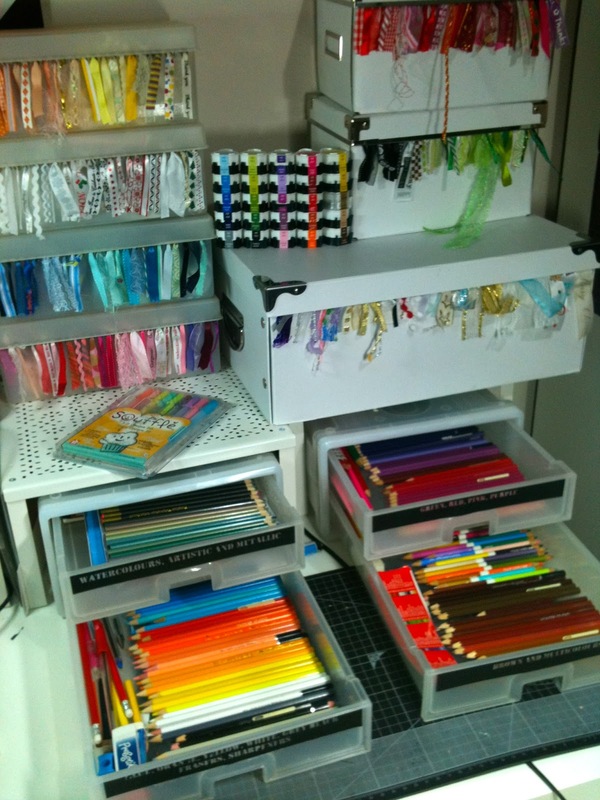 Katharina Frei has asked to see our favourite colouring medium… not an example of it… but the actual items in our crafty spots… so I will be a good sport and show off a little of my craft room again. 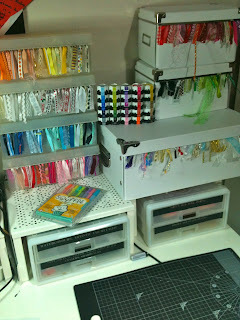 You know I waited so long for a craft room I have to show it off now! 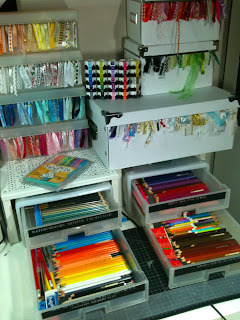 My drawers full of rainbow... most of them are Faber Castell. How they look when I am working on an image....well kind of... usually half of them are on my desk while I am working... and how they look when I am done (I do try to keep my desk clean... I am not always successful hehe). 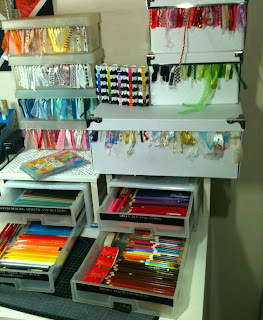 If you want to see how the Ribbon Boxes above the pencils are made click here. 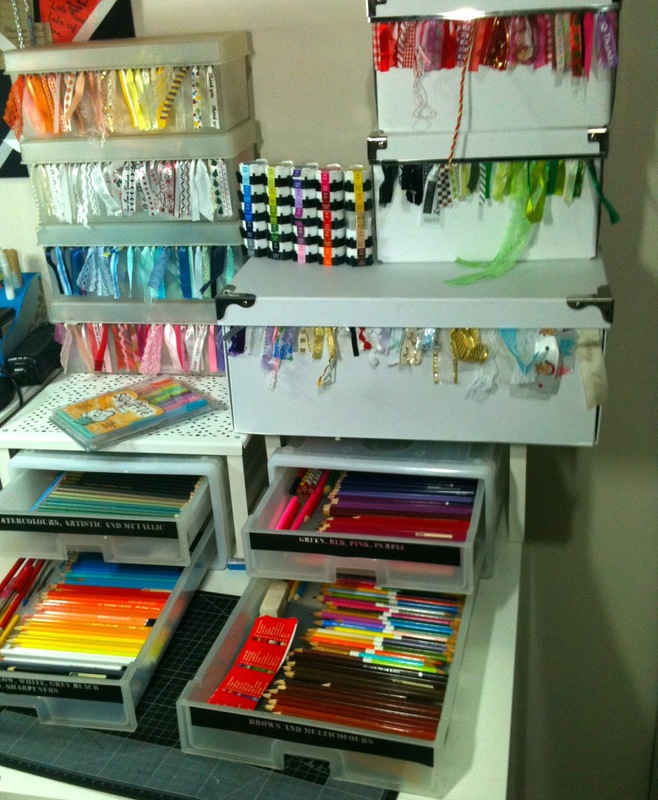 Thanks for showing your pencils - I hope you will join in tomorrow again. Stop the edge lines from the embossing folder! How to make a diffuser for my Cuttlebug. House Mouse has Gone Fishin'! There is always time for a party!